While the likes of Dota 2 and League of Legends are the basis of the most lucrative competitions in the eSports world, competitive gaming is about more than just real-time strategy and online battle arenas. Fighting games are a key part of eSports and some of the biggest tournaments held across the globe are based on older, classic franchises such as Street Fighter, Tekken and Super Smash Bros. They may not have the big bucks to compete with the major players of competitive gaming, but here at Master Mazuma we believe there remains a huge amount of excitement to be had. In this guide, we are going to examine the fighting game-based Evolution Championship Series and also provide a few ideas on the issues you should consider when planning your Evolution Championship Series betting. The roots of the Evolution Championship Series – which is known as EVO for short – go all the way back to 1996, when the tournament was first held under the name of Battle By The Bay. Believed to be the longest-running fighting game tournament in the world, it began life with a focus on Super Street Fighter II Turbo and Street Fighter Alpha 2. However, as time went by, a few things changed. The tournament became known as Evolution Championship Series from 2002 onwards, while a couple of years later the decision was taken to switch from using arcade cabinets in competitions to console-based gaming. Moving to the present day, EVO 2017 is taking place in July this year at Mandalay Bay in Las Vegas. It boasts a fairly huge roster of games which competitors will be doing battle on, including the likes of Street Fighter V, Tekken 7, Guilty Gear Xrd REV2, Injustice 2, Super Smash Bros Melee and Ultimate Marvel vs Capcom 3. Now we’ve got introductions out of the way, it is time to move on to the issue of how tournaments at EVO tend to work. This is of course absolutely vital if you’re planning to get involved in Evolution Championship Series betting, as it will give you some useful information about the action you may well end up betting on. Using EVO 2016 as an example, the game tournaments have an open format which means that a huge number of competitors tend to register to get involved. The first stage of the tournament tends to be a Qualification Pool, where players split into groups of eight or more and a double elimination bracket takes place until a top two emerge. The successful pair from each pool then move on to the semi-finals. In the semi-final bracket, any loss during qualification is carried over and this is used to split half of the players onto a winners’ side of the draw and the rest on to the losers’ side. The best eight players who emerge from this double elimination bracket go on to the finals, which continue in the same vein as the semis until a single player stands victorious. But what are all of these competitors playing for? The cash prize is split between the top eight competitors depending on their final position and in EVO 2016 it generated from a percentage of the proceeds taken from the registration fee of each player. This means the prize money is dependent on the number of competitors, with the 2016 Street Fighter tournament having a prize pool of more than $100,000 but Super Smash Bros Melee in contrast generating $23,720. The sheer mayhem of fighting games like Super Smash Bros and Street Fighter might make you think that developing an Evolution Championship Series betting strategy is likely to be difficult. However, here at Master Mazuma, we have figured out and will share with you a few key pointers that might help you make informed decisions on who to back in the biggest tournaments. A great starting point for Evolution Championship Series betting may well be deciding which specific competitions you want to maintain a focus on. How you do this could be dependent on a number of factors, but a key one might be how well you know a game. For example, being a huge fan of Injustice 2 may allow you to have more insight into an upcoming contest, as compared to not having played Street Fighter V before. EVO tournaments are vast competitions where a huge amount of action takes place, so if you are able to pinpoint the games which are best suited to you, you’ll definitely have some advantage. Once you have made a decision on the competitions you would like to follow, it is worth spending some time getting know the biggest players involved in those specific games. For example, if you plan on keeping tabs on the Super Smash competitions, the likes of Swedish player Adam “Armada: Lindgren and US competitor Juan “Hungrybo” Debiedma are usually ones to watch. Both of them reached the final of the Melee competition in 2016. 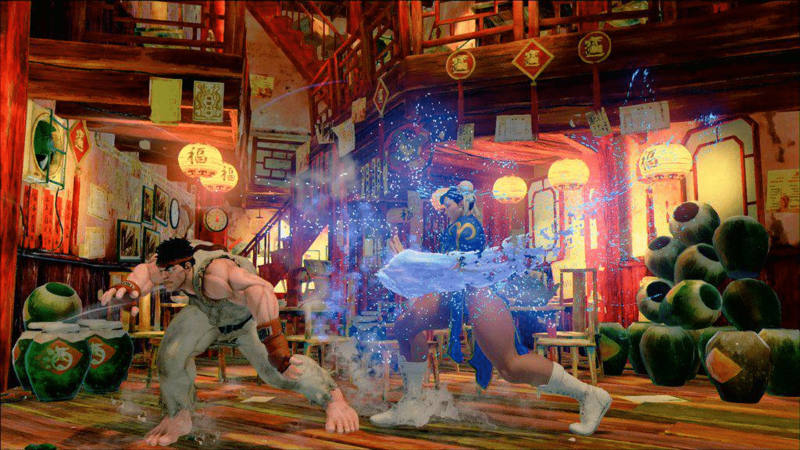 Alternatively, if you’re looking to take a chance on Street Fighter V, South Korean star Lee “Infiltration” Seon Woo won the EVO 2016 competition and has enjoyed success in a number of other competitions too. You can rest assured that some of these names will be there or thereabouts as competitions come to final stages, but do not underestimate up and coming talent too. We would suggest monitoring eSports news and the recent form of players to get a feel for who may emerge victorious in EVO competitions, as well as who could well upset the big boys and spring a surprise. That little bit of research could make all of the difference as you seek Evolution Championship Series betting success. Here at Master Mazuma, we strongly believe that you simply cannot beat a good arcade-style fighting game and a tournament of the size and scale of EVO is a great example of the enduring popularity of such titles. Whether you are a huge fan of fighting games or a relative newbie to the thrills and spills they offer, we’re sure that Evolution Championship Series betting will offer you a huge amount of excitement. Head over to our specialist pages to review the odds for the upcoming EVO tournament.